learn to pronounce a new phrase: "Is there more muesli? No, I ate everything" in Russian. 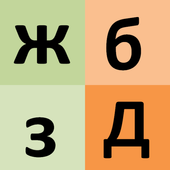 practise reading 3 new Russian consonants (щ, ь, ъ) and 1 vowel (ю) in different combinations. Now that you know the Cyrillic alphabet and all the rules from the previous Reading Lessons let's make the final step to read Russian like a Russian! We are going to make a question: "is there anything left of...?" And they will answer us "no, I ate everything"
This is how you say it in Russian: есть ещё мюсли? нет, я всё съел. Е с т ь е щ ё м ю с л и? Letters: Е с т Ь е щ ё м ю с л и? The letter "ь" does not have any sound itself. It softens the letter before it. So "ь" does not have any sound, but modifies the sound of other letters. For example the words "есть" (to eat) and "ест" (he/she eats) sound different thanks to "ь". By the way, "ь" is called in Russian мягкий знак (myah-kij znak), which means "soft sign". How to pronounce "щ" and "ю"
"щ" is pronounced like [sh] + [ch] (fresh chicken) or like [s] + [sh]. "ю" is pronounced like the English word "you". You asked if there is anything left and you will find out that unfortunately there is nothing. Do not mix "ь" and "ъ". The letter "ъ" does not have any sound (like as "ь"). But Its function is to harden the letter that comes before it (remember that "ь" softens). This letter can only be followed by е, ё, я, ю, and thanks to "ъ", they are pronounced very clearly. The letter "ъ" is called in Russian твёрдый знак (tvyor-dyj znak), which means "hard sign". Listen to the following examples and try to feel the difference between the words with and without "ъ"
Below you can find a list of syllables that contain the letters you have learnt in this lesson. First, read them aloud. Then, listen to the recording in Russian and check how you did. Good luck! Do you want to learn Russian with the best courses and books? 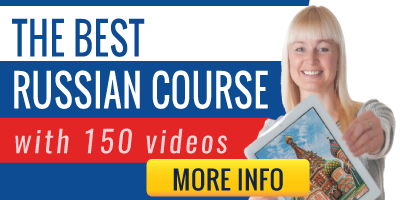 We recommend you the best Russian course, with 160 videos and personal tutor. If you love reading, have a look at these books with stories in easy Russian with audio. If you want to practice your Russian, here you can find exercise books, with key and grammar tables. Remember: This course is designed ONLY to learn how to read Russian. If you want to learn Russian, first you need to know how to read. When you finish this course, you can start learning how to speak Russian with our Basic Russian course ¡Carry on, you are doing it very well!